woohoo! go toyotas! Its pretty neat you still have the 22re in it even though you're thinking of switching it. Keep it up. Nice Work. My headlights / headlight buckets/ grill were all fuct up....and the tires rubbed all three....so i removed the outer grill sections/ lights/ buckets and some Hella lights in their place....was able to recess them back flush with the core support....pretty happy with it. looks angry. I like it. Beat on it for three days at Windrock.....worked ok....somethings i am happy with, some things i am not but overall it does work....didn't get any pics....got one video of me failing on a nasty climb. Had a great time at rocks and valleys yesterday....did most all of the more difficult trails with no issues at all....i am starting to get the truck sorted out and it is really becoming very capable. Last edited by 974x4Taco; September 23rd, 2013 at 08:45 AM. Talk to tonka toy. He has a toyota with a 4.3 that is getting pulled for a 5.3L. If i do a v-6 it will be a Toyota 3.4....i have owned both it and 4.3's and was far more impressed with the 3.4. I think i am pretty set on a 3.4 Toyota v-6....they make decent power, are extremely reliable, and there are parts out there to make it a plug and play swap....now i just need to find one cheap lol. Ran across this rig the other day and fell in love....it's got me thinking about chopping everything on either side of the cab off and starting over. I've been thinking of doing the same. I am for sure sold on the rear. 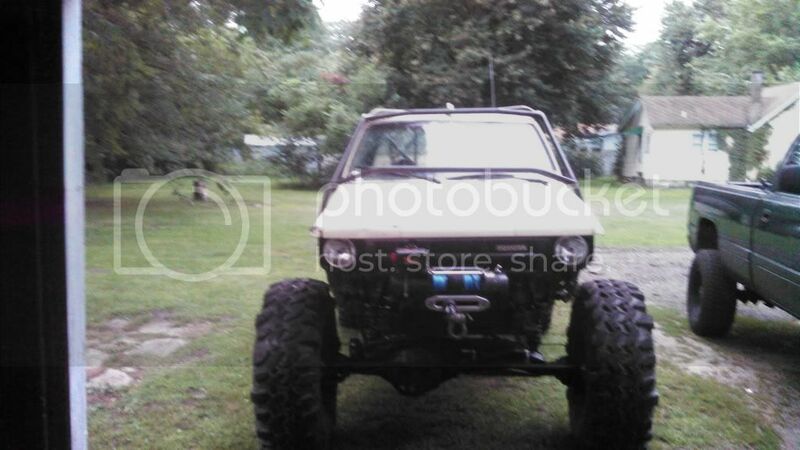 The front, i don't know....if i could keep the stock frame and make it work i would keep it. I know part of it has to go since it is preventing me from running high steer but that's only the front 12" or so....i guess time will tell. Last edited by 974x4Taco; October 19th, 2013 at 08:31 AM. Reason: . How is it preventing you from going high steer? Just not enough up travel? 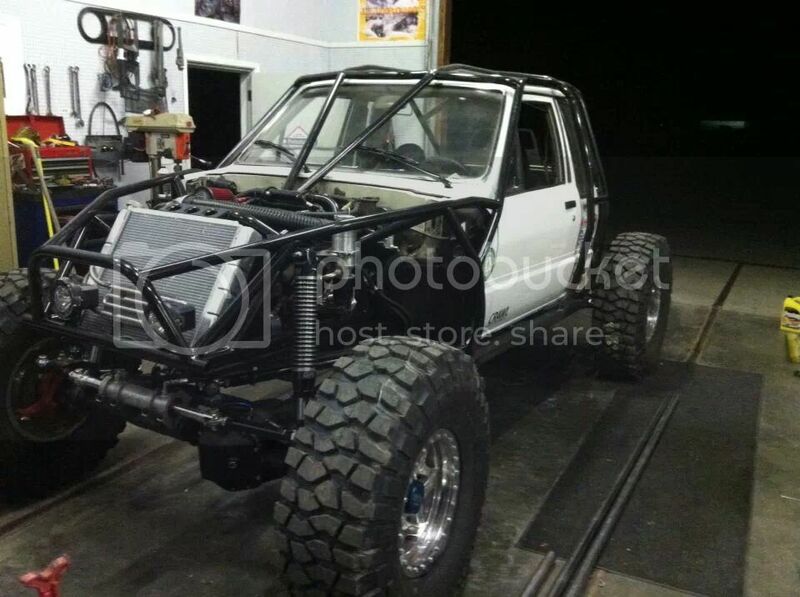 glad to hear it is coming along well man thats awesome. the 22re can make a hell of a power run with a small turbo upgrade... just a thought lol. 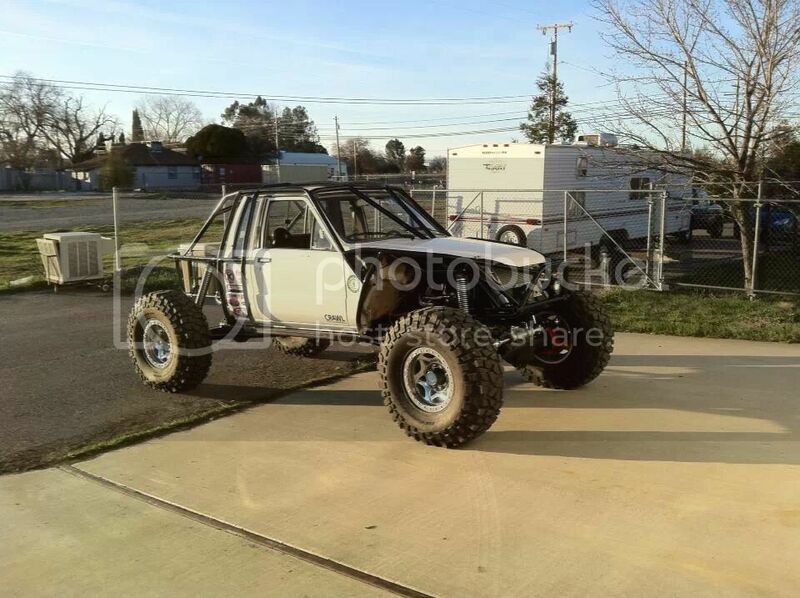 im picking up my new ecu so that the xj runs again today so we will have to go out wheeling soon.